I’ve zipped through the available four seasons like I was marathoning an old favorite! I have one negative- it took me almost two seasons to like the lead character of Audrey (Emily Rose). At first it bothered me that her hair looked like a wig and it distracted me (I don’t think it was a wig in season one, just either a bad color choice or it lit weird). But then it was like she was just constantly whining or going on about “me-me-me-me”. I know she’s the center of the story and figuring out the mystery that surrounds her is important, but she just… rubbed me the wrong way. But I eventually grew to like her as much as the rest of the characters. The whole series is apparently based off a short story written by Steven King, “The Colorado Kid”, which I need to read now. I’d like to know if it was set up within the story, or if that story just gave the creators an idea and they ran with it. If that makes sense. It’s on my Amazon wishlist but in book form its apparently pretty expensive. Huh. There may be spoilers, FYI. The short version is that the town of Haven, Maine, has a few issues- every 27 years some of the residents develop “troubles” (think family curses) and things go a bit more awry than normal. But there’s a savior in a mystery woman who shows up to help people in the town. She shows help and when she leaves, so do the troubles. For another 27 years. The first 3 seasons of the show effectively cover six months to a year that Audrey is in town, having shown up right as the troubles began, again. The troubles themselves are fairly interesting. Not everyone has them and most people believe them to be a town legend- a story told to frighten children. Until they start again, of course. Even the male lead, Detective Nathan Wuornos (Lucas Bryant), doesn’t believe in them at first- even though he, himself, is afflicted with a trouble. 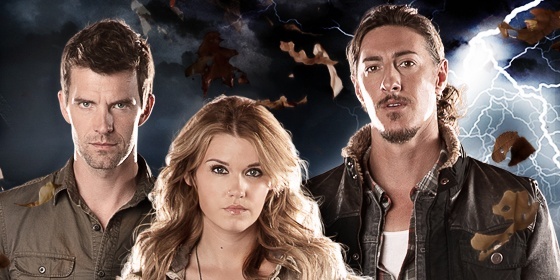 The final lead character, bad boy delinquent Duke (Eric Balfour), is a little more open at first, but he too wrote the troubles off as a story. At least, they did until one too many things don’t add up… and the only explanation is a town curse. Back to Audrey- she semi-randomly comes to Haven in the first episode as an FBI agent on the hunt for a criminal. Only it seems like she’s been there before (or at least someone who looks an awful lot like her has!). She decides to stick around the town for a bit and look into the mystery of this woman- who might be her mother!- and help out the local police force. Eventually, the audience and the characters find out that Audrey isn’t actually Audrey and the mystery grows. Along the way, Audrey and Nathan become partners at Haven PD and he discovers that he can feel her touch- the only thing he can feel as his trouble effectively robs him of that sense. Audrey befriends Duke, much to Nathan’s dismay, and together the three of them stumble through supernatural situations delving into the mysteries of the town, Audrey, the troubles, and who killed the Colorado Kid. That’s essentially the first two seasons. Oh, yeah, and she was never in the FBI. In the third season, Audrey is given a deadline- a date where she will leave the town through a “barn” and take the troubles with her. For the next 27 years. Of course, by this point she has learned about the last two women she was when she came to Haven, Lucy and Sarah, and fallen for Nathan (though she doesn’t want to hurt him with her inevitable departure so she keeps that little secret to herself). Duke has fully come into his trouble and is desperate to understand more of his family history and how it ties to Audrey. And well, the town is pretty much set on making sure Audrey goes into the barn. So… what the hell is the “barn”? Yeah, it’s not too clear. I mean it finally gets explained- along with some weird storyline with the Colorado Kid’s death being explained, sort of- but it still isn’t clear. In any case, when the time comes, Audrey goes in the barn, Nathan shoots Agent Howard, Jordan shoots Nathan, and Duke leaps into the mystical barn as it is crumpling into nothingness with the goal of rescuing Audrey. Well, that’s alright because season four was my favorite and it’s full of the crazy. The fourth, and currently final, season of Haven begins 6 months later, with Duke appearing in a seal tank at an aquarium in Boston. He gets rescued from the hospital by Jennifer who is somehow connected to the barn. 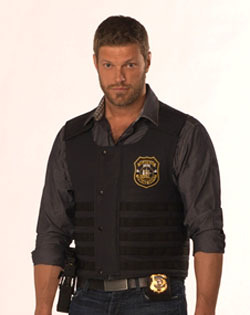 Once back in Haven, they find Nathan chased out of town and selling himself as a punching bag for money. Dwight has gone from Cleaner to Police Chief in order to keep the town running. And no Audrey in sight. Our heroes make an arrangement in order to keep Nathan alive and continue the hunt for Audrey, all while dealing with the increased troubles in town. Meanwhile, Audrey is bartending in a made-up bar, with a new name, and her best hair yet. She flirts with a delightful gent until she decides he’s nuts. Only he’s not nuts, he knows the truth about the bar and wants to help get her out. Once out, she feigns her bartending personality “Lexie” in order to keep Nathan safe, but Duke figures it out, leading to Nathan eventually figuring it out, leading to a slow leak through the regular characters. There’s this whole thing with Duke’s brother and Jordan, but he was merely a road bump to get to new troubles in the end of the season. Anyways, William, the delightful gent from the bar, turns up in Haven and then turns out to be basically evil and with a master plan to get Audrey to remember her original personality and go back to their magical evil ways. Blah blah, and then you get to the end of the season (or series, if Syfy doesn’t get off their butts and announce a pick-up) and I won’t even try to explain that. Phew. That’s a lot of stuff. Now let me touch on some key things, in my opinion. Duke. From the moment he swaggered into the scene, he was my favorite character. Can’t explain it. 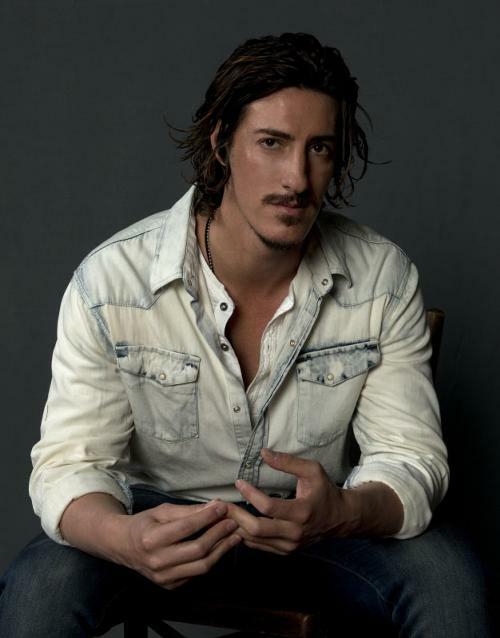 I’ve enjoyed Eric Balfour since his brief turn on BtVS as “Jesse”. This character just fit. The dream ep… with the teacher fantasy… excellent. Most shows don’t quite go that far… nicely done. Colin Ferguson needs to be in EVERYTHING. I knew I would enjoy season 4 an extra bit just for the casting of him as a regular guest but I had no idea… I loved and hated his character from the second episode he appeared in- you just didn’t know his motivation! And then once it came out… oh! the crazy! LOVED IT! So, let’s just make it a rule- cast Colin Ferguson in all the things. The Troubles. I enjoyed that they weren’t the usual curses we see in most supernatural genre. Also that Audrey and Nathan didn’t go in to destroy the troubled individual but instead wanted to help them understand and control their trouble. Nice change of pace from the usual, “you’re evil, I must kill you” mentality. Dwight. Another character I enjoyed from his first til his last appearance. I’m glad he got a larger role in season 4, his earlier turns led to quite a bit of character development and Adam Copeland (you might know him from the WWE as The Edge, apparently) delivered quite a few zingers flawlessly. Just loved him from his first scene. I believed Audrey could be a cop. This doesn’t happen often- most women that play cops on TV/film are size 2’s and wearing stilettos to chase bad guys. They look like if he breathed on them they’d collapse. It’s hard to take them seriously. I’m not saying that the actress wasn’t slender and pretty, but she looks like she could chase a guy and shoot a gun without it knocking her back. This works for me. OK… the yoga scene on Duke’s boat. Nuff said. Jason Preistley. Both as director and guest star. More, please. I have a love/hate relationship with Vince and Dave, the local authorities on most things troubled. M.E. Gloria. Gotta love a snarky Medical Examiner who would rather play videogames. And got called out of retirement in order to come back as M.E. for the town. When the show went dark for an episode, it went dark. They were not afraid of blood and guts. The connection between William and Audrey could’ve been used for more… for instance, they only once utilized the hitting him in the nuts so it doesn’t hurt her scenario. That was damn funny. Jennifer was a nice balance for Duke. Glad he spent the previous seasons growing up so he was ready for her. OK… so I’ve tried not to be too spoilery here… so if you know nothing or very little about the show, take a gander at it. I enjoyed it a lot. I do recommend marathoning it though… not only does this method get you through any rough parts faster, but it keeps the story flowing. Unfortunately, season 4 has not been released on NetFlix or Hulu or DVD yet, but it is available via iTunes and Amazon.